Kristy here with my last post featuring the Graphic 45 Mother Goose paper collection. 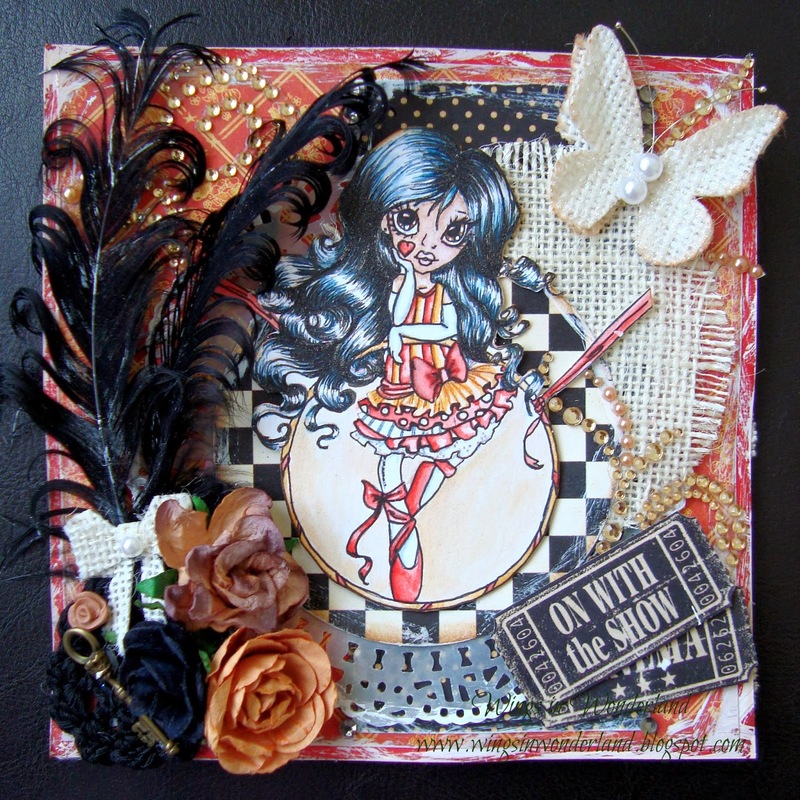 I have loved working with these papers and hope I have shown the versatility of them too. 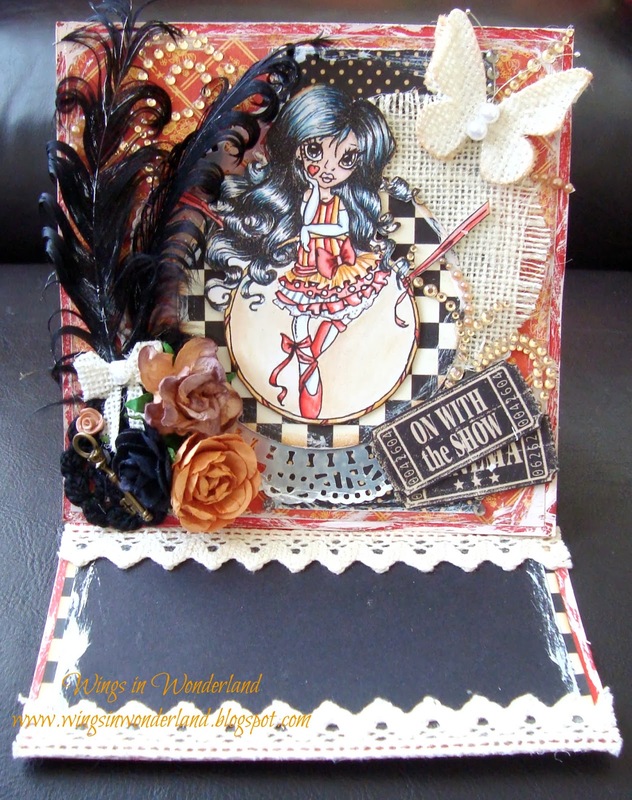 This last card is no exception and was made for a friend of mine who very recently had a carnival themed wedding so I had to put my thinking cap on for this one and I really like how it turned out. Im on a run here with easel cards so here she is all opened up for you. The feathers here were just regular craft ones which I curled around a butter knife using the same technique that you use to curl ribbon, and I really like the effect this gives. Also in this mash up are some Kaisercraft and Prima blooms, burlap ribbon and another crochet doiley. 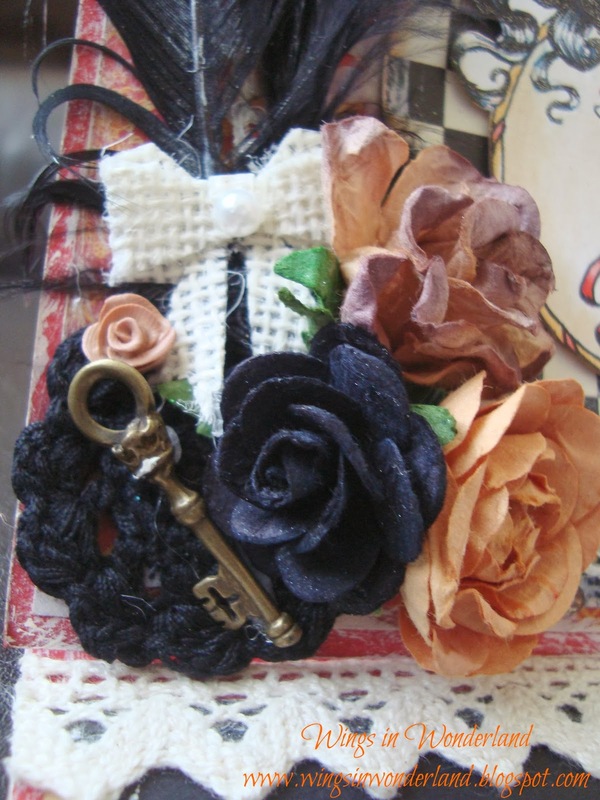 The key was from Scotties and the little rose on the left is a fimo rose I made (I actually burnt them) but I actually like "antique" color. 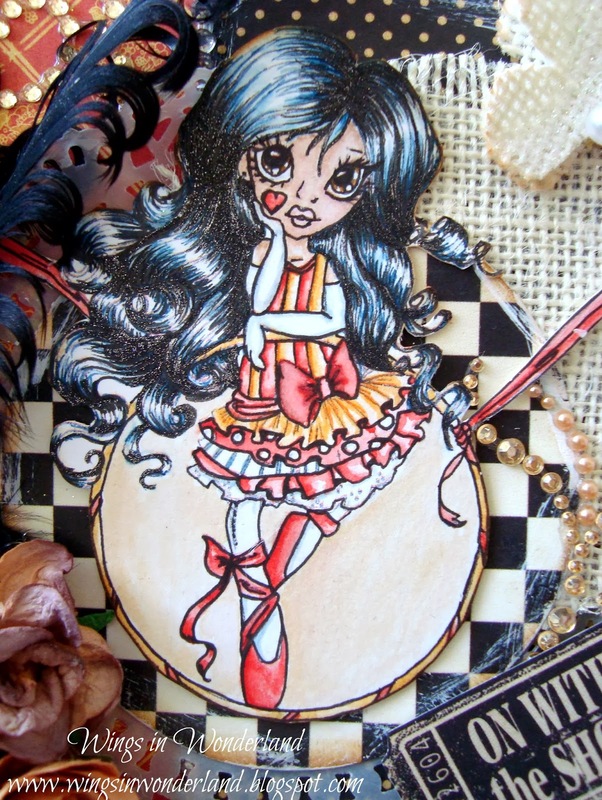 The Image I used this week is Circus Trixie from Saturated Canary, and again she is printed on Ranger Watercolour distress cardstock and colored with Distress inks and markers. I have also added some glitter gel pen to her hair for some extra shimmer, then layered her up on some G45 paper, burlap and a Couture Creations doily die cut using dimensional tape. There are a few other things tucked away here from older lines like the Prima Bling and also the tickets cut from the Graphic 45 Curtain call paper but they mesh well in this look. So that's all from me this week, please come back next Friday to see the new paper line I am using, I cant wait!